Parents are their child’s first and most important teacher. 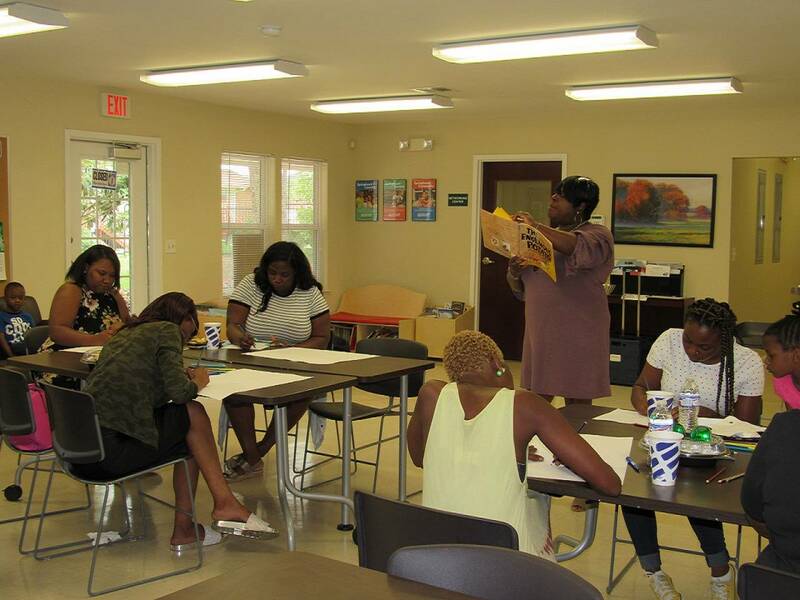 This is just one of the many tips that was shared during the recent literacy luncheons held at Commonwealth Village and Northwood Village apartments. In partnership with Springboard To Opportunities, the Early Childhood staff led parents in an afternoon filled with fun interactive hands-on learning. The literacy luncheon was designed to highlight various approaches parents can take to become active during the early learning years of their children. MPB Early Childhood staff discussed the importance of parental involvement with their early learners and gave ideas of how to stay connected and supportive in the early learning process. Laughter could be heard throughout the space as parents were actively engaged in the learning activities. Friendly competition and a show of support could also be seen throughout the luncheon as the parents engaged with each other. Additionally, each parent received free books for their family to enjoy, as well as tips on various learning activities that can be used to help their school aged children. This project is funded by a Ready To Learn grant provided by the Department of Education to the Corporation for Public Broadcasting.